A new Mexican spot has made its debut in the neighborhood. The fresh addition to Queen Village, called El Rancho Viejo, is located at 942 S. Fifth St.
Tucked into a red-brick building in an area that's primarily residential, the family-run El Rancho Viejo is simply decorated, with tables lining the wall in the narrow space. Despite its small size, the eatery is full of authentic flavor, with freshly made churros, carrot and tortilla soups, beef enchiladas with mole, slow-roasted pork tacos and fried plantains. You can watch (and smell) the cooking process, with much of the kitchen behind a long counter. El Rancho Viejo has gotten an enthusiastic response thus far, with a five-star rating out of four reviews on Yelp. Sam S., who was among the first Yelpers to review the new spot on April 14, said, "Family owned and run and off the beaten track, this is a gem. 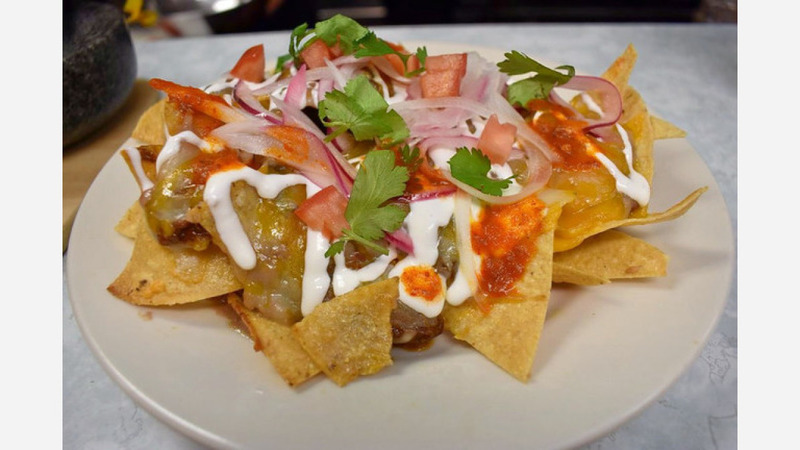 From the carefully prepared sauces that accompany the welcoming house-made tortilla chips to the tacos ... This is a place deserving of support. Everything is delicious, homemade and carefully and tastefully prepared." And Francesca C. said, "Their food was great and the staff was super friendly. We got takeout and they even gave us chips and salsa while we waited. Get the fried plantains." Intrigued? Stop in to try it for yourself. El Rancho Viejo is open from 4 p.m.-10 p.m. on Monday-Thursday, 4 p.m.-11 p.m. on Friday, 11 a.m.-11 p.m. on Saturday, and 11 a.m.-10 p.m. on Sunday.